Our Mission at Zetty Electrical Wholesalers, hereafter referred to as ZEWS, is to become the preferred supplier of electrical accessories to the Industrial, Commercial and Domestic industries in the Northern Gauteng Region. This will be achieved by our value added service, pricing structure and a total commitment to the electrical trade as a whole. Some 15 years ago the members of ZEWS perceived a need for an electrical wholesale organisation which would provide a 24 hour service specifically for the manufacturing Industry within the Central and Northern Gauteng region. 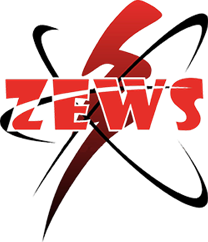 ZEWS has been supplying to the manufacturing industry sectors associated electronic equipment since 1994. We felt that the manufacturing industries were missing out on specialist sales and after sales service, so we concentrated on servicing them specifically. Since then, Zetty has earned a reputation for service which reaches beyond above mentioned to include the Limpopo, Mpumalanga and North West provinces. ZEWS has built on this reputation and remains totally committed to the industry. We do now supply direct to all industrial sectors, contractors and public. Zetty is an independent electrical wholesaler, this means we're well-placed to source and supply all manner of electrical goods even those hard-to-find items. We do your utmost to put our customers first, and keep pace with developments in the electrical field. Installation and maintenance of industrial refrigeration and heating, as well as associated tools, fittings and consumables. ZEWS's success is due not only to its comprehensive product range but also to its commitment to support services and its client centric experienced staff. The trained staff at Zetty has many years of experience in the industry and can be reached at any time for emergency supplies or advice, and they can offer suggestions to assist with even the most complex situations. ZEWS has its very own delivery service to the Northern Gauteng and surrounding regions. Our delivery service has a structured operation and includes a next day delivery where required.